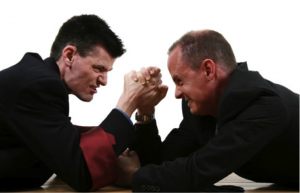 Purchasing Training ~ Are You Killing Yourself in Negotiations? Too many people in our profession have a standard approach to negotiations, failing to recognize that your understanding of the other side is much more critical to negotiation success than having a toolbox full of tactics and counter tactics. Actually, if you ask me, negotiation tactics and counter-tactics are for the birds. If you’re getting training on that topic, you ought to really re-think things. I’ve always said, a supply chain cannot be predicated on each link employing a series of opportunistic tactics and counter tactics against the next link. The 1970’s called, and they want their negotiation strategies back. The most critical thing to understand in negotiations is WHY does the supplier want your business? The only thing you know for sure is they want your money. Everything else is your challenge to find out. You may be surprised to find out that sometimes the money is not that important. But if you skip that critical investigation, just guess what your entire negotiation will center around…… YOUR MONEY! And then there is this whole concept of Win-Win. Sounds great, but it has been employed terribly in our profession. Win-Win is NOT splitting the pie down the middle on certain issues, shaking hands, and feeling good about the wonderful compromise struck between the parties. Splitting the pie down the middle is Lose-Lose, because neither party got what they wanted out of the deal. There are much better ways to achieve Win-Win. Back to the key question: WHY does the supplier want your business? Have you researched this? You need to know their financial situation. Are they trying to increase revenue or profitability? Read their annual reports, ask their sales people. Are they trying to expand their market segments? Ask them what markets they are doing well in and which ones they are trying to get into. Look for that info in their annual report as well. Maybe they view your company as a gateway to a new industry to them, and will break the bank to get your business. Where do they sit from a capacity perspective (note: this can be assessed with services suppliers as well, from a labor perspective)? Do they have a lot of idle capacity that they need to fill? Ask them if they can support your business within current capacity, then ask them “what if our demand doubles, can you still fill that with existing capacity?” If they say “yes”, that means they’ve got a lot of idle capacity they need to fill at any cost. A major healthcare company I worked with got some incredible new technology basically at the supplier’s cost, because they had researched that this company desperately wanted to break into the healthcare segment, but hadn’t been able to yet. They were able to strike a deal at cost, and the supplier was thrilled to get into that market segment. These are just some of the types of questions you need to be looking at when engaging in investigative negotiations. In the West, we are famous for diving into negotiations and trying to attack the negotiation topics serially – “ok we have agreement on that topic, now let’s move onto the next one”. Meanwhile, if you negotiate with Asians for instance, they’ll want to spend far more time in investigative negotiations. You might think you are just having a casual dinner with them, but you most certainly are not. They are in the most subtle fashion gathering deep information about your company, your business, your objectives, your strengths and weaknesses, your corporate culture, and you. They want to understand every aspect of the negotiation landscape before they enter into formal negotiations. Once they are ready, they may want to negotiate the overall fabric of the deal instead of moving through topics serially, because they know all the points are interconnected and cannot be addressed individually. The point is, as I have always stated, NEGOTIATIONS ARE WON AND LOST BEFORE THEY EVER START. If you race into negotiations because you don’t have enough time, you will pay the price, both literally and figuratively. If you think you can just because you’re such a great negotiator, you’re wrong. You WILL leave money on the table. 80% of your time should be spent preparing for negotiations, and investigative strategies are where it’s at. Your entire negotiation approach needs to reflect this. Previous post: Be Careful What You Negotiate – It Could Come Back to Bite You!